Harriet loves costumes. She wears them to the dentist, to the supermarket, and most importantly, to her super-special dress-up birthday party. Her dads have decorated everything for the party and Harriet has her most favorite costume all picked out for the big day. There’s just one thing missing-party hats! 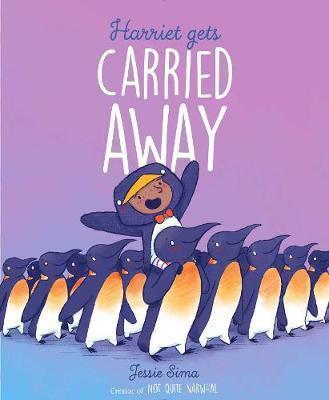 But when Harriet dons her special penguin errand-running costume and sets out to find the perfect ones, she finds something else instead-real penguins! Harriet gets carried away with the flock. She may look like a penguin, but she’s not so sure she belongs in the arctic. Can Harriet manage her way back to her dads (and the party hats!) in time for her special day?